May 24th, 2011 by Roy W. Spencer, Ph. D.
After the catastrophic death toll from the Joplin, MO tornado, which now stands at 117, we are no doubt in for more claims — dutifully amplified by the news media — that ‘climate change’ must somehow be at least partly responsible for this Spring’s wild weather. And, to some extent, I’m inclined to agree. That is, if they are talking about the natural cooling effects of La Nina and the tendency for tornado outbreaks to be associated with cooler (not warmer) climate conditions. But I suspect that’s just the opposite of the message they will be preaching. Even when I de-trend the data, the remaining year-to-year variability still has a negative correlation: -0.17, so the conclusion is the same for the long-term trend AND the year-to-year variations in strong tornado activity. So how does anyone get away with claiming that global warming is contributing to more tornadoes? Well, maybe because there has indeed been an UPward trend in total reported tornado sightings in the U.S. during the same period of time. But this is only because (as I mention in my first book, Climate Confusion) there are so many more people now spread across the fruited plain, with so many video cameras, and now so many Doppler radars are measuring the wind rotation associated with tornadoes, that it is difficult for any to go unnoticed by at least someone. QUESTION: Out of the 25 deadliest tornadoes in U.S history, how many would you guess have occurred in the last 50 years (since 1960)? ANSWER: Up until a month ago, NONE of them. On April 27, one of the Alabama tornadoes made the bottom of the list at #25, but now has been knocked back off the list because Sunday’s tornado in Joplin will be ranked #8. So, to the extent that you hear reports of ANYONE connecting tornadoes to global warming, I think it proves only one thing: The belief that global warming is causing most of the world’s ills is so pervasive that the facts simply do not matter anymore. It makes more sense to wait for the reports from the people that actually go out into the field and investigate tornadoes, than a guesstimation of someone that does not. A large number of tornado deaths in 1925 is understandable. No advanced warning system back then. 1. Observation has increased dramatically in more recent years, leading to more and more reports of inclement weather. 2. There are far more people, and far greater development now than 60 years ago, and these assets are worth more in our inflated dollar environment than they were in the past. If damage and destruction remained static, the cost of that destruction would rise every year due to inflation of asset values. And here’s another inconvenient fact: 2011 is NOT a warm year by any means. We’re in La Nina, virtually the opposite of conditions last year (the Pseudo-toastiest year of the Century), so if your point is that global COOLING causes more storms, you might be right. All one has to do is look at the 400mb temp and 600mb temp. and contrast that, to where it was last year. Answer over .50c colder. Next, contrast the amount of severe weather versus last year. Answer no comparisome. Then comparing a larger time frame, contrast 1970’s temp/severe weather ,with that in the warm 1990’s,early 2000’s . I think one can conclude global cooling is associated with an increase in severe weather,and for that matter extremes in weather all over the globe. Do NOT trust the AMSU channels other than channel 5. The NOAA-15 AMSU has diurnal drift issues, and the cooling you see is bogus. We are discussing changing the site to ALL Aqua AMSU, so there will not be this problem. This does not affect the Discover sea surface temperature measurements, which are from AMSR-E, not AMSU. Maybe you placed a web link in your message, so the moderator needs to check it for abuses before make your message public. Don’t worry, this is a true science blog indeed. Dragontide- I presume you studied science at school, as tour english grammar is not your strong suite- “my sister and I went to school….’ not ‘My sister and me wentto school..’. Actually ,reading through your further comments on this blog, your science is as ill digested as your english. Looking at your graph, I see a spike of tornadoes in 1974. I suppose that there will be a spike of tornadoes in the graph for 2011? Ahh Thanks Massimo PORZIO. yes there are 2 links. A NOAA link and one that talks about the record number of weather related insurance claims. I thought I was being censored when I saw that Dr Spencer had not yet approved my comment, even after he later posted a response to Salvatore. He was right there and could have done it but did not. I apologize for my outburst if my comment ever gets posted. The “global cooling” you talk about does not exist. We have warmer than normal waters in the Gulf of Mexico. In the Arctic, there is now much less ice. Water absorbs much more heat than ice. The extra heat in the Arctic pushes polar air to the south more often. (because it has nowhere else to go) When the cold Arctic air meets the warm gulf air…BOOM! If we continue to abuse fossil fuels, this process will continue for quite some time to come. Do we want FEMA, National Guard, US Army Corps of Engineers costs to end up higher than Social Security? Medicare? National Defense? My vote would be “NO”! it is an hypothsesis …but if true it would be in contradiction with the fact..and torando stat shown in the post. Facts…. Does Dr Spencer has a larger field team than NOAA to investigate the aftermath of tornado outbreaks? No. He doesn’t have a field team at all. I wonder if the good doctor will ever connect the dots between this Spring’s tornadoes and the Texas fires that have burned more of America by this date than any year in our history. The fact that Texas, and adjoining parts of Oklahoma and New Mexico, are drier than they’ve ever been. Mississippi River flooding. The Amazon drought. The failed grain harvest from the Russian heatwave, and Queensland’s failed grain harvest from its record flood, and France and Germany’s current drought-related crop failures, and the death of the winter wheat crop in Texas, and the inability of Midwestern farmers to get corn planted in their sodden fields…I just wonder. Dr. Spencer, thanks for that info. I vote for “(Or, maybe a lack of tornadoes causes global warming!)”. It seems about as solid as any of the other links between “global warming / climate change / climate disruption / humans are icky” or whatever the latest phrase is. Thanks for the insights. I read someplace that one of the previous very bad storms was way up in Michigan (since the start of that database in 1950). Seems like that one didn’t get the memo about where tornadoes are supposed to be. Hope you are recoving well from the damages near your location. Dragontide, you really need to apologise sincerely to Dr Spencer rather than the poor attempt above. Your basic statements reveal that you have not even done him the courtesy of properly reading his post. Firstly, his plots are facts as they go only to 2010 so the uncertainties you note about 2011 numbers are irrelevant. In fact, I understand that the data on which they are based are from NOAA. Secondly, the news report about record levels of insurance claims is just that,a news report. It quotes an insurance spokesman immediately after the event so the claim has been subject to no verification (like your requirement of Dr Spencer not relying on preliminary data!). It is meaningless as the number of claims and costs relate to where (urban or rural mainly) the tornadoes affected not the number or strength of the tornadoes. As for your later comment on the “warmer than normal waters in the Gulf of Mexico”, perhaps a perusal of a graph recently shown on WUWT (also I believe from NOAA) would show you that it is actually below normal lately. I too hope all is well in your area after the earlier tornadoes. I visited Northern Alabama some years ago and enjoyed it. The recent outbreak of severe weather is due to La Nina and random weather patterns, and has NOTHING to do with “global warming” or “climate change”. Thanks for your blog, Dr. Spencer. Hope all is well in northern Alabama. dragon tide- this is and will be the decade of global cooling. “What a disgrace you are to the scientific community and to UAH. (The school me and my sister went to)”. The school me went to …. they must be so proud. Dr Spencer is a knowledgeable and balanced commentator on these matters. Perhaps read a little more before leaping into the breach. That is all me has to say. Ah, diddums – is your belief system being challenged? Get used to it – it’s collapsing ’round your ears! You have, of course, better scientific credentials than Roy Spencer, a superior publication and citation record and have researched all these matters yourself over many years? Otherwise, it’s merely the usual argumentum ad verecundiam, which added to your earlier argumentum ad hominen hardly renders you credible. Still, it hardly matters, since you don’t even read his posts, and respond with abuse when you are not given the red-carpet treatment you expect. Back under your bridge, troll! Incidentally, judging by the ‘me’, (strike)your UAH studies your intermediate school years didn’t include English, did they? My embedded HTML didn’t work. Q. Can the intensity of this year’s tornadoes be blamed on climate change? A. Probably not. Over all, the number of violent tornadoes has been declining in the United States, even as temperatures have increased, making it likely that this year’s twister outbreak is simply a remarkable and terrifying — but natural — event. The conclusion reached by Roy Spencer is much the same. Caveats follow in the article (this is the NYT, after all), but the above words appear. Exactly. Let’s hope Dragontide never tries posting at RealClimate. What has been very disheartening for me in recent years is the blatant politicization of the WEATHER! I used to love meteorology, and growing up in Charleston, South Carolina we had our share of wild coastal storms. Today, thanks to the maniacal CAGW crowd (of which Mr. “Dragontide” is a typical member), every bad weather event somehow has to be “blamed” on something totally irrelevant, such as the size of someone’s car, what they eat, or what fuel they use for power. This is being done for no other purpose than to promote a radical political agenda favored by certain elements within the CAGW activist community (which usually involves demonizing a group they dislike, such as the energy industry), while simultaneously enriching themselves on public and private money (e.g. vacation conferences in Bali and Cancun). So tornadoes form in the boundary of cold air and warm moist air. Global warming helps supply the warm moist air. La Nina helps to provide the cold air (from the higher snow fall, as Roy says). So maybe the mantra should be that global warming reduces storms most of the time, but watch out for intense La Nina events. Independent, peer-reviewed trashing of your thesis. A little more study would obviously help. Inverse relationship with continental temperature, the requirement for wind-shear, history &c. A little more complicated than you postulate. 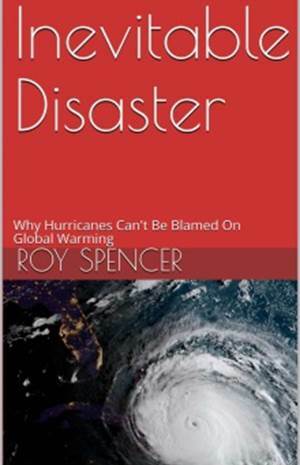 As Dr Spencer indicates (and the above quoted paper confirms) wobal glorming is, at best, irrelevant (try his ‘proof’ [in jest] that more tornadoes cause global cooling – or that fewer tornadoes should cause wobal glorming!}. At worst (for alarmists) the evidence is of fewer tornadoes. Especially during La Niña events. The deeper, the fewer. Based on facts, not models. Of course, if one is addicted to Kool-Aid …….. Yes. Global warming does reduce some storm activity. As the Sahara Desert becomes even more dryer, larger dust plumes are blown over the East Atlantic which has been responsible for reducing tropical waves down to nothing on many occasions. Although it really does us no good since many of the ones that do survive become monsters. Remember hurricane parties? Coastal merchants used to make a pretty penny during hurricane season because so many cyclones would make that long journey across the Atlantic at category-1 strength and stay at category-1 strength. When’s the last time that happened? Looooong ago, wasn’t it? The first quarter of 2011 was the 14th warmest Jan-Mar period on record. You should read NOAA’s monthly “State of the Climate” reports if you want to know the facts. I really don’t suspect you should be making use of loincloths made of dingo skin, considerably better than were wanting to fitness. As soon as we understand it is very value the courses, it’ll brilliant. RealClimate is the preeminant Pro-AGW website. It is run by some of the major players in the climate science community, often known as the “Team” due to the inclusion of Michael Mann of the “hockey stick” fame. Their motto is “Climate Science from Climate Scientists”. It is hard to believe that you have studied climate change for “many years” and have never come across RealClimate and the likes of Mann, Schmidt and others. Anyway, you will find that “Your comment is awaiting moderation” is common on science blogs. As opposed to John Cook’s Skeptical Science website which is not run by actual climate scientists. I would find it very amusing though, if you levied the same “disgrace to the scientific community” slight against the Team for the exact same practice. I agree with other posters that your disrespect of Dr. Spencer is not forgiven by your qualified apology. I would suggest something more sincere followed by many more years of studying climate change. If you combined all the tornado paths into one, it would be 640 long wide and 10 miles wide. (or roughly the size of Connecticut and Rhode Island, combined) Maybe, tornado deaths is not the best way to measure climate change. You said it, but if you don’t understand why it is not “the best way to measure climate”, and your statement was just sarcastic, then I can just asking myself what did you study at the UAH those days? Newsweek blames driving our SUVs for the tornado outbreak. End of argument. The number of extreme weather events across the globe in the past few years would give a better reading of what our mutated Mother Nature is doing, in comparison to the number or tornado deaths. I moved on from UAH after only a short time. It’s too much of a right-wing extremist school. It’s a great university. Just not my cup-o-tea. How do you know what was the “extreme weather events” say 50 years ago? Those times there were many places in the world where people died and nobody knows. We live in the age of media, media counts more than science today and that’s wrong. We are just bombarded by the news which report a lot of things that 50 years ago they don’t. The Dr.Spencer’s graph demonstrated you that F3-F5 tornadoes reduced along the last years, and I with him because I find his explanation convincing. But you contest his claims talking about number of deaths, which is not a scientific argument but just data from the news. When I asked you what did you study there, I don’t wanna offend you in any way. I’m Italian and I live in Italy, so I don’t know UAH of which departments is made of. I was just supposing you studied humanistic subjects instead of scientific one. Here in Italy, who studied humanistic subject is much prone to follow scientific claims without doing any personal thought on it. You talked about UAH as a “right-wing extremist school”, well no matter if they are leftist or rightist because science is the pursuit of truth. There is not “rightist science” or “leftist science”, science is one and finally incontestable. From my point of view climate science is currently not a real science because is funded almost only on statistic and barely on precise observations of what really happen in the real world respect to what predicted. One day, thanks to people like Dr. Spencer and Dr.Christy (just to tell two from UAH, but thanks to many others too), climate science will be a “real science”. But that’s just my point of view. If you were to do a minimal amount of reading on the subject of AGW, you would have learned that Joseph Fourier’s theories were disproven in the 19th century. Extreme weather events that destroy large amounts of crops and livestock and leave mass numbers of people homeless do not go unnoticed. Even 50-100 years ago. The right-wing extremism at UAH goes way beyond science. Too much of Bush this and Reagan that. I agree that science should have nothing to do with politics. But in this country it does. (thanks to people like the Koch Brothers) Dr Christy was on the local, right-wing, talk radio show once, about a year ago. 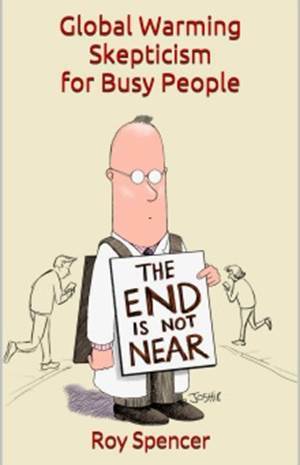 (the Dale Jackson Show) Dr Spencer said the earth had been cooling for 10 years on the Rush Limbaugh Show. All the right-wing radio hosts claim AGW is not real. They don’t employ any scientific proof to back it it up though. On many occasions they will say something along the lines of: “Global warming is not real because…. Look… Gas prices can be reduced if we drill more” It’s a freekin’ joke! Dr Spencer made a claim regarding tornado numbers before April tornado numbers were tallied. A person that is truly in search of the truth would have waited. Counting deaths is just…stupid. If your in your home, you greatly increase your chance of dying. Being down in a tornado shelter does not make a tornado any weaker. Joseph Fourier’s theories have not been disproven. If GHGs did not return heat back to the earth’s surface, we would not exist. More GHGs in our troposphere returns more heat to the surface. My problem following your argument is: what are the scientific proof on the AGW supporters side? There are nothing else silly computer simulations. None of them have ever predicted any climate trend. Most of them rely on very dubious proxy measurements, others massaged data to get exactly what the researcher wanted. Being a software designer too, I spent just a little of my time reading some source codes from the UEA codes, extracted from the messages made public in 2009 thanks to someone who probably was tired to see how the things were handled there. The message collection now known as the Climategate. 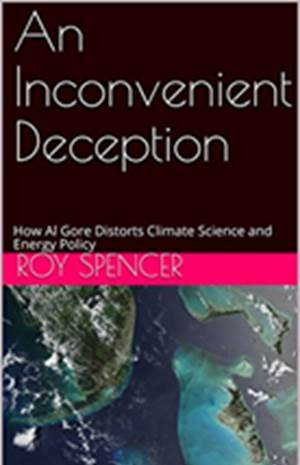 In those codes I see some lines which unequivocally were made to adjust the data to comply to the IPCC agenda, and the programmer of that codes was so ingenuous that he also explained in some remarks, embedded into the code, the meaning of those lines, warning that those lines were absolutely “A VERY ARTIFICIAL CORRECTION FOR DECLINE”. The “decline” was related to the temperature computed via the tree rings of course. In fact those “bad tree rings” went the opposite ways after the sixties, and that was dismantling the whole tree rings temperature reconstruction theory! Science? What science were they talking about? For what I read about Dr. Christy he just became a “right wing” just after he changed his mind end exited the IPCC scaring bandwagon, before that he was well appreciated in the climate arena instead. The same happened to other true scientist such as Dr. Judith Curry who became critic about some unscientific behaviors she discovered into the IPCC procedures. Note that neither Dr.Christy nor Dr.Spencer ever said that the GHG warming doesn’t exist, they just challenge the entity of that warming, and that’s what most of the “deniers” do. I repeat myself, if the AGW was scientifically proven, than there is not “rightist” or “leftist” science. The problem here is that no one proved anything yet and instead of pursuit the truth, someone on the AGW supporters side decided to fake the science to follow the agenda. That’s really wrong. Computer models cannot predict exact outcomes. So what? After 315 consecutive months that the world temperature has been above average, it doesn’t take a computer to see what’s happening. What the skeptic scientists are doing now is just trying to keep the climate debate open. Claiming “We’re just not sure”, so that Big Oil & Coal can continue to sell their destructive products. According to my Congressman (R-Mo Brooks AL-05) that’s exactly what Christy told him. “We’re just not sure”. Mo Brooks then wasted no time in holding bogus congressional hearings. There is some REAL political cronyism going on right now with America’s right-wing controlled congress. They want to cut funding for satellite data, NOAA and the EPA. Hide the decline, hell, they want to hide the entire science, altogether. Bob Corell certainly does not care about the political aspects of AGW. He was asked to look into climate change by Ronald Reagan back in the 80s and has been at it ever since. America has swung back & forth from the left to the right since the 80s. More of these gasses returns more heat to the surface. You convinced me, you are right we should all cut our CO2 footprint. Start now, be the first, shutdown this futile and off-topic debate and turn off your PC so your CO2 footprint will be reduced. I’m sarcastic of course, you can’t imagine how it’s ridicule your statement “After 315 consecutive months that the world temperature has been above average, it doesn’t take a computer to see what’s happening” and the fact that you can’t imagine that, can’t allow me to continue this messaging. I apologize with Dr. Spencer to have wrote some off-topic posts on this blog. It’s not nearly as ridiculous as cherry picking an irrelevant “decline” from one IPCC report and attempting to use it as a tangible AGW skeptic point. There are those who are interested in debate, but a fool mesmerized by his own folly is not debating. No, I believe he isn’t a fool. He’s just indoctrinated by a long time spread ideology. There are people who kills for an ideology and other who arrives to commits suicide for that, which by an evolutionary perspective it’s worse. After years of scholar conditioning with the AGW/GHG mantra, no wonder to see people who dislike others who ask the scientist -how does it work?- and without any answer they call them deniers. …there has indeed been an UPward trend in total reported tornado sightings in the U.S. during the same period of time. But this is only because (as I mention in my first book, Climate Confusion) there are so many more people now spread across the fruited plain, with so many video cameras, and now so many Doppler radars are measuring the wind rotation associated with tornadoes, that it is difficult for any to go unnoticed by at least someone. Is this science or opinion? A cursory glance at U.S. Census demographics indicates that though the total population almost doubled between 1950 and 2000, the rural population only rose from 55 million to 59 million. If technology accounts for it couldn’t coverage maps for weather or air-traffic radars be used to actually estimate any under-reporting? Also – if you believe tornados were under-reported in the past wouldn’t that also effect the number of F3-F5 tornados reported? Lastly, don’t we get the same correlations replacing the PDO Index with Northern Hemisphere mean or even global mean temperature data? So no actual scientific rebuttals to facts I have presented? Now how about some of you brilliant people here put your sharp minds to work and start developing solutions to the problem of AGW? Fer Pete’s sake, nobody here is denying that the planet’s temperature changes. It has gone up, and down, and up, and down, and up, and down, thru the ages, without any help from us. It went up starting in 1000 AD, til by 1300 AD there was grain growing in Scandinavia, a thriving agricultural colony on Greenland, villages established and silver mines worked high in the European mountains where there are nothing but glaciers now, and a major wine industry in England. OBVIOUSLY none of that is possible now. It ended in the late 14th century when Earth’s temp dropped, and the incredibly beneficial climate of the Medieval Warm Period crashed into the disaster of the Little Ice Age. Only with the bit of glacial recession during the Solar Max last decade, did the European mountains reveal their long-hidden secret. People tend to forget some of the factors that affect Earth’s temp–like the Sun, which varies in activity; Earth’s orbit, which is not perfectly round and has Earth at times a bit closer to the Sun and at times a bit farther away; and then there are those pesky Atlantic and Pacific cycles that have major effects on climate. If you check with www dot spaceweather dot com, you will find that we are in a historically long and deep Solar Minimum, and some astronomers are actually concerned that our ascent out of the Little Ice Age may be ending. If humanity were to disappear from the planet, which is actually the goal of the most extreme of the enviro wackies, millions upon millions of flatulating ruminants and other critters would take their place on the land, and what would that do to the planet’s temp? Maybe that’s what brought about the end of the Big Ice Age?? What is Earth’s NORMAL temperature? Is it what we had during the Big Ice Age? the Medieval Warm Period (we could only hope)? the Little Ice Age?? Well??? Cue the crickets, and listen to the pretty chirping. Only in some parts of the northern hemisphere. Only if you trust the word of Erik the Red. None of which is the cause of the current warming. A warmer sun would be very easily detected. Earth’s precession is in it’s “glacial” stage and will be so for another 6000 years.